got a job in Boston, assisting Francis Scott Bradford in making an enormous mural of famous people of Beacon Hill. 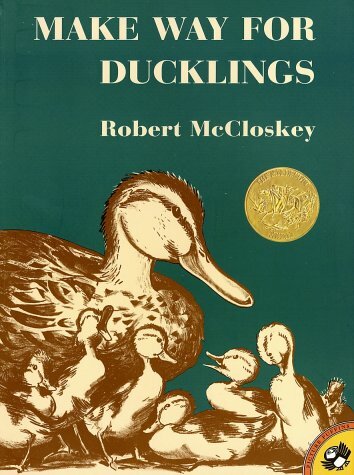 It was there that he got the idea for Make Way for Ducklings, which won the Caldecott Medal in 1942. During World War II, he was a sergeant in the Army. Stationed in Alabama, he was assigned to draw training pictures. After the war, he continued to write and illustrate children's books including Blueberries for Sal, One Morning in Maine, Time of Wonder, and Burt Dow, Deep-Water Man. Time of Wonder was awarded the Caldecott Medal in 1958, making McCloskey the first artist to receive this honor twice. In 1974, he was awarded the Regina Medal by the Catholic Library Association for continued distinguished contribution to children's literature. He died on June 30, 2003 at the age of 88.